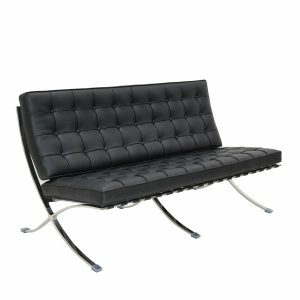 Barcelona Bench & Chairs inspired by Mies van der Rohe. Home/Iconic Design Classics/Iconic Designer Soft Seating/Barcelona Bench & Chairs inspired by Mies van der Rohe. 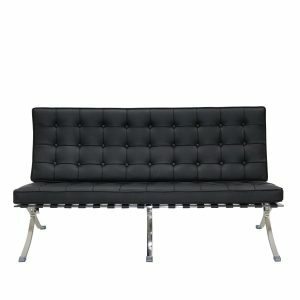 A design classic that you can enjoy at your home or office with its comfort and unique elegance. Chairs,benches and Sofas. In PU or soft leather. 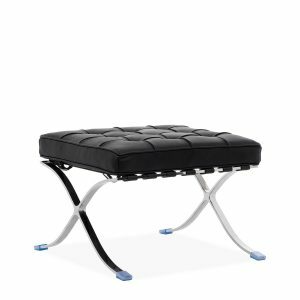 Barcelona design Ottoman, a design classic at the best price. 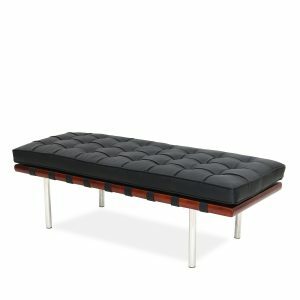 Footrest upholstered in high quality leatherette. Structure made of stainless steel. Cushions of high density foam. Available in two different colors. 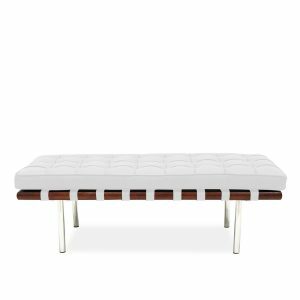 The BARCELONA Bench has a classic design with traditional reticulated upholstery, where the vertices joining the different grids are topped by buttons. A simple but very effective composition, resulting in an undeniable elegance. The fabric used is polyurethane or soft leather . The filling in high density foam, turns it into a very comfortable seat. 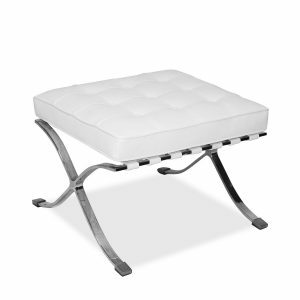 The stainless steel feet provide the necessary stability to enjoy in good company this piece of irresistible design. It integrates perfectly in spaces with classical style, but also in environments with a modern decor according to minimalist trends.